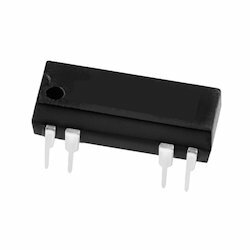 Pioneers in the industry, we offer conventional reed relays, mini dip reed relay, mini sip reed relay, mini smd reed relay, mini soj reed relay and sip reed relay from India. 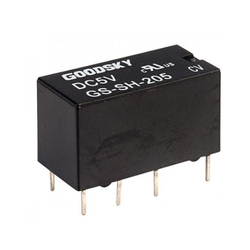 We are offering a wide range of Conventional Reed Relays. High switching speed and low bounce time. Use gas tube sealed switch to prevent dust, gas and humidity influence. Wide operate voltage range and low power consumption. Ideal for use on a cordless telephone, multifunction telephone, modem, burglar alarm etc. 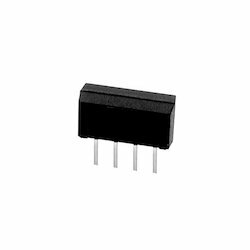 Switching Current 0.5 ADC Max. Carry Current 1.0 ADC Max. Switching Power 10 VA Max. Contact Resistance 200 mOmega Max. Release Time 0.5 ms Max. Maximum Voltage 100 VDC Max. Insulation Resistance 10 toPower 9 Omega Min. We are suppliers of Mini DIP Reed Relay to our clients. Magnetic shield cover is available. Contact resistance 200 m Omega Max. Insulation resistance 10 Power 9 Omega Min. We are offering a wide range of Mini SIP Reed Relay. 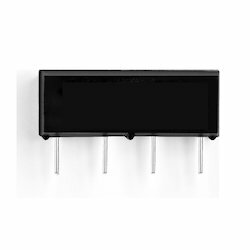 Mini Sip is a single-in-line Reed Relay using only 12.1x4.3mm of board space which is half the standard SIP requirement. Epoxy molded single in line structure. Higher mounting density than DIP type. Insulation resistance 10 9 Omega Min. 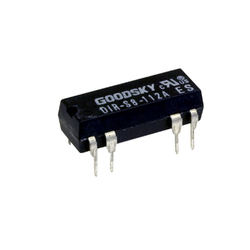 We are offering a wide range of Mini SOJ Reed Relay. Contact resistance 150 m Omega Max. We are offering a wide range of SIP Reed Relay. Molded construction for compatibility with automatic board processing. Dip type construction with the same terminal pitch as ICs or TTLs. The high sensitivity allows direct driving by TTL, etc. Coil to contact 1400 VDC Min. Across contacts 250 VDC Min. 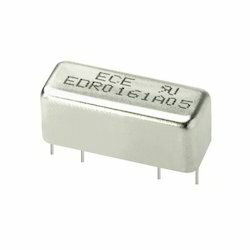 We are offering a wide range of SMD Reed Relay. The electrostatic shield is available. 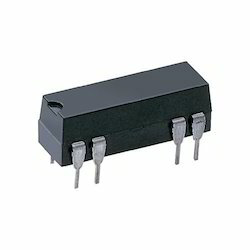 We are offering a wide range of DIP Reed Relay. 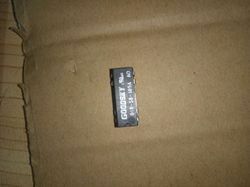 Looking for Reed Relay ?